It's that time of the year when I'm starting to feel the travel itch: I'm heading over to Sweden again with the kids this summer, and they are asking me almost daily "when are we going?". Considering it's a few months to go, that is going to be a looooong wait! I love the look of these pants. Yes, the price is high, but if you've got the extra cash kicking around I think they would be an excellent buy. 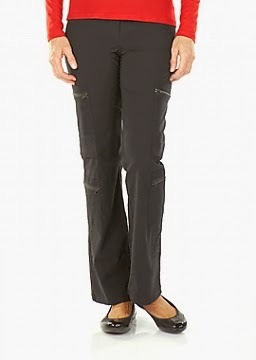 Lots of pockets, durable, comfortable material and easy to wash and dry on the go. Just think of all the bits and bobs I could stuff in all those pockets when I'm traveling with the kids! I might not even need a travel-pouch anymore! Usually, I stuff underwear and socks into shoes, pockets, or anywhere else there's a bit of space left over in the luggage after it's mostly packed. But this looks like a terrific way to keep things a little more tidy and easy to locate. One per family member would definitely help make it easier to locate everyone's stuff, and it would make unpacking a little more efficient. If you're traveling with a baby or toddler, a set of blocks might seem like a hard thing to bring on your trip. However, the Tegu blocks are magnetic and click together: perfect, even on a plane! All of us seem to travel with a lot of electronic gadgets, and all those gadgets have cables. I carry a designated pouch for chargers and cables, but this year I am looking at a cable organizer. Cables tangle, get lost, and are hard to find, but this way I think I might reduce my own frustration! This item is going on my personal wish-list for birthdays, Christmas, or just when I feel like getting something really cool. This vest has 17 pockets! Passport, credit cards, phone... I could fit a lot in those pockets. And it's a vest, breathable fabric, easy to wash and dry: I think I'm in love with it. Simple but easy to bring-along toys for babies: and it can be clipped on to a bag or jacket. Every little bit helps when you need to keep a baby entertained while traveling! Luggage trackers are getting more and more common these days, and more affordable and easy to use. This one looks very handy, especially that it sends you a text or email when you land, telling you your luggage arrived with you. If it works as advertised, this could be a very handy item indeed! This looks like a great product, and a great gift idea for any travelers you know: custom engraved luggage tags in a variety of colours. I really like this idea. And like it shows on the image, it's a good idea to include an email-address on your luggage tag. This item is available on Etsy, and it is just the most adorable set I've seen in a long time. 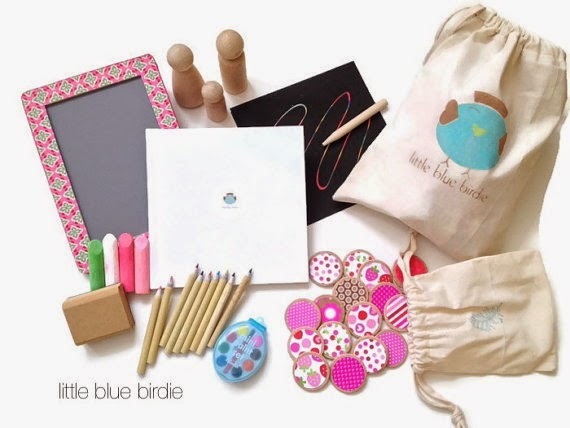 Lots of stuff to keep a child busy in the air, in the car, on the train, or when you're visiting relatives and friends. 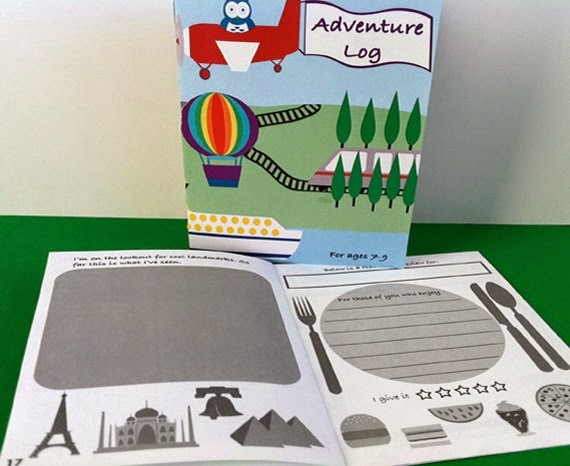 There are lots of terrific travel journals for kids, where they can enter what they did, what they saw, what they ate, and so on when they're out traveling. I love this one, again from Etsy. Pair with a nice set of pens, pencils, markers or crayons, and it makes for a gorgeous gift before a trip.